Home > Industry News > Yacht Management Under Control! Simply put, Deep Blue claims to be the most comprehensive and easy-to-use Yacht Management software on the market. Available in three packages (Pro, Fleet and Custom), Deep Blue is designed expressly with non-IT specialists in mind. The user-friendly interface can be accessed by unlimited, simultaneous users from any device – PC, Mac, iPad, tablet or smart phone – both on-line via secure dedicated servers, or off-line through a local onboard server without an internet connection. This KIS philosophy disguises powerful software to ensure fast and efficient yacht management, reducing the administrative workload of senior crew and managers, and increasing communication flow between the crew, the management, the owners’ representatives. The latest V3.1.096 software has 14 modules that provide access 24/7 to every aspect of today’s increasingly complex yacht operations. From accounting and financial reporting, maintenance and inventories, ISM and SMS, to human resources management or calendars for crew and yacht events, Deep Blue can log all the actions and receive approval through the software. -Maintenance: allows chief engineers to build custom maintenance programs by area/group/system linked to the electronic Log Book Spare Parts and Equipment List modules. Developed with the contribution of an experienced group of merchant navy and yachting captains, chief engineers, yacht managers, DPA’s, financial officers, in the four years since launching Deep Blue brand, this unique approach has led to a dedicated following among yachting professionals. 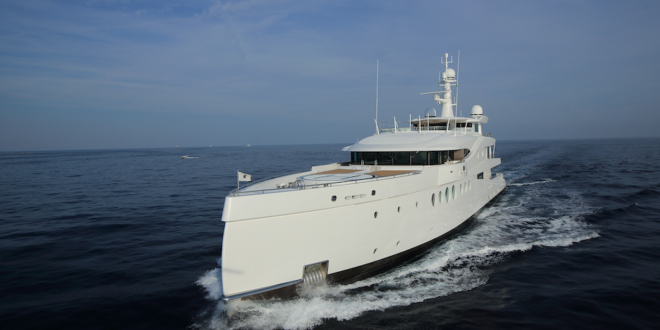 To date, over 100 yachts between 25m-120m and numerous management agencies have chosen Deep Blue. Such Feedback from end-users has proved invaluable in refining the product.